Watching an episode of Yo Gabba Gabba with one of my daughters this morning, I noticed something subtle that I'm sure has gone unnoticed by thousands upon thousands of viewers before me. 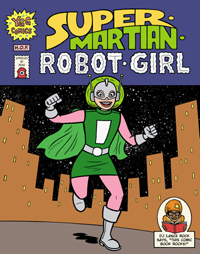 We were watching an episode from the show's first season and got to the story of "Super Martian Robot Girl." The "cover" of the story flashes on the screen for just a few seconds before the story begins. But wait...what is that in the lower corner of the cover? That looks very familiar. Pausing Yo Gabba Gabba, I went to my other daughter's room to retrieve a couple of books from my childhood that now sit on her bookshelf. 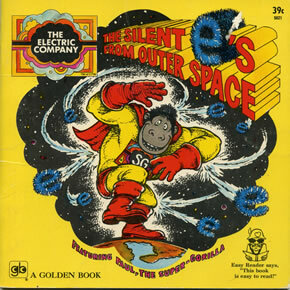 There on the front cover of these Electric Company books is the Easy Reader logo -- strikingly similar to the DJ Lance Rock logo on the cover of Super Martian Robot Girl. 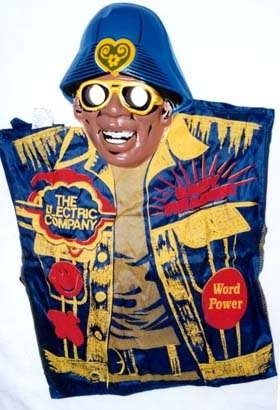 Easy Reader was a character on the original Electric Company program played by none other than Morgan Freeman. 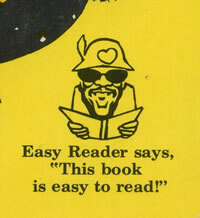 As you can see from these book covers, Easy Reader was a cool cat around to help kids find books that they could read and enjoy. 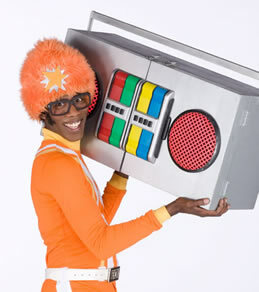 While DJ Lance Rock is certainly no Easy Reader, I have a true appreciation for the bizarre nature of Yo Gabba Gabba. 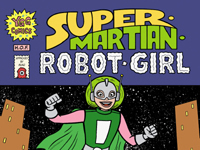 I applaud DJ Lance for encouraging young readers while giving a nod to those who came before him. Back in the day, I was more of a baseball card kid while my brother was a comic book kid. 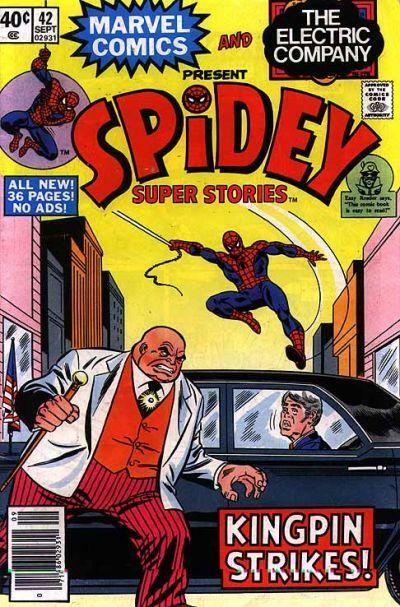 One of the first comics he ever owned (if not the first) was an issue of Spidey Super Stories. 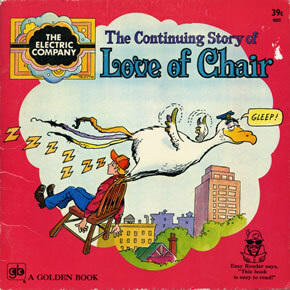 Take a close look at the cover and you'll see that these Marvel comics, published in cooperation with the folks at the Electric Company, were endorsed by Easy Reader. Apparently, according to comicvine.com, Easy Reader himself makes a quick cameo in an issue of Earth X from 1999. Then there's the merchandise. What would a children's television program character be without proper merchandising? Add one more thing to my Holy Grail list. 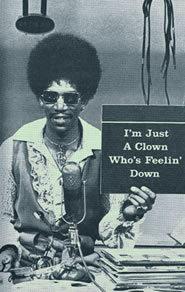 Last but not least, for those of you who may not remember Easy Reader at all, here's a look at Morgan Freeman in action. Top to bottom, left to right. Reading stuff is outta sight! 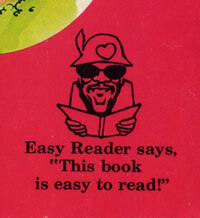 DJ Lance Rock is sorta like Easy Reader (not because their both black). But I believe DJ Lance is more fatherly.